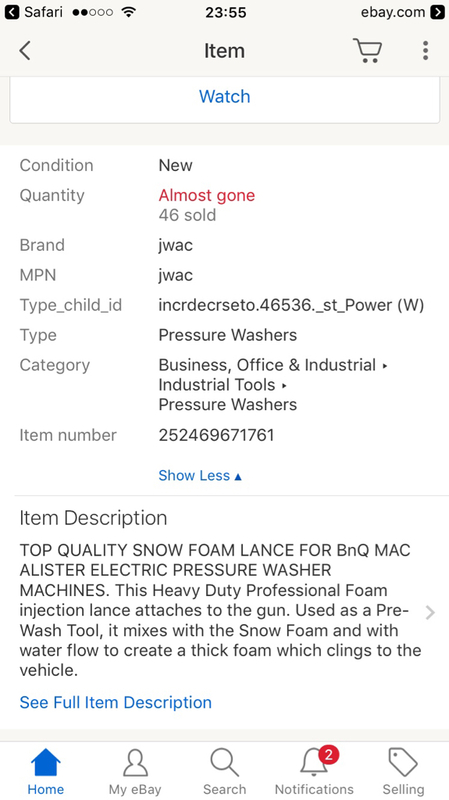 Need a hand finding a snow foam lance for my pressure washer. 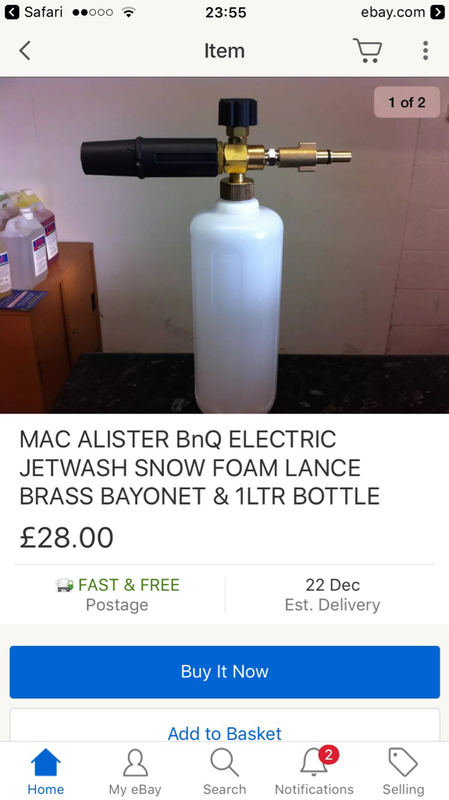 Ive got a B&Q macallister, I think the model number is MPHPC152 Struggling to find a lance that will fit, any suggestions? Cheers, I've messaged them and apparently I also need an adapter as I have a screw type fitting. I don't mean to hijack this thread but I recently bought a lance with a BOSCH fitting for a generic B&Q pressure washer but the lance connector doesn't fit...Can anyone help me out as to which one I need?